It's the Fourth of July, and John Cena is celebrating America's Independence day by teaching us all about what it truly means to be a patriot. The WWE star and Trainwreck breakout comedian wished his Twitter followers a happy Fourth of July holiday on Monday, tweeting out a new video from Ad Council's #WeAreAmerica and #LoveHasNoLabels campaign. 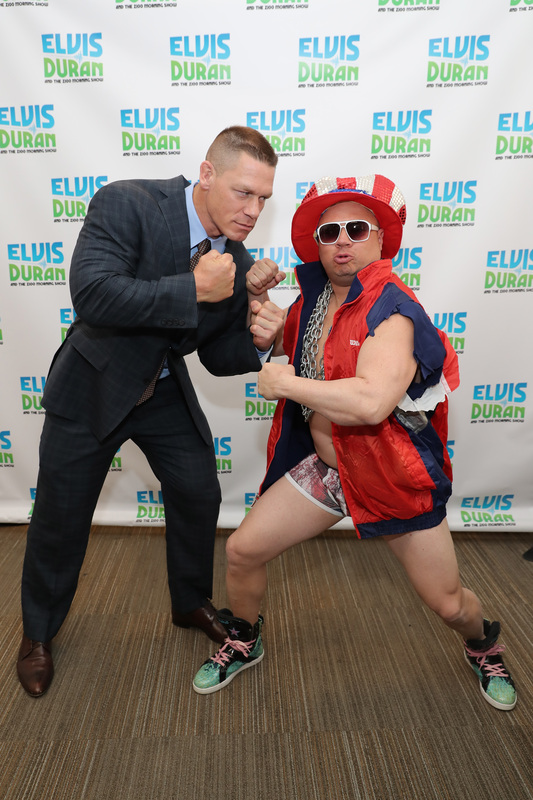 Cena stars in the video, which was released on Monday by the nonprofit, with a handful of diverse extras meant to reflect the diversity of Americans. The ad's message is simple: patriotism isn't about loving America, it's about loving every American, no matter how different they are from yourself. In other words, John Cena's patriotism video defines what it actually means to be a patriot. And, in the days of Donald Trump's increasingly divisive Presidential campaign, the message couldn't be more welcome. "Patriotism. It inspires passion, faith; it's worn like a badge of honor, for good reason. Because it means love and devotion for one's country — love. But what really makes up this country of ours?" Cena declares in the video. The ad, which pretty much consists of Cena walking through an idyllic American town full of diverse extras that represent the diversity found in America, plays like a Presidential campaign ad (some fans are already calling for Cena 2016), and the message is a clear response to the hateful rhetoric tossed around this election cycle. "Almost half the country belongs to minority groups," Cena says, citing the LGBT community as well as many different ethnic groups. "What's more American than freedom to celebrate the things that make us, us?" he asks. "This year, patriotism shouldn't just be about pride of country," Cena concludes, "It should be about love. Love beyond age, disability, sexuality, race, religion, and any other labels. Because the second any of us judge people based on those labels, we're not really being patriotic, are we?" Cena posted a one-minute version of the ad on Twitter, but the Ad Council uploaded a longer version on YouTube that delves a bit deeper. Instead of just urging patriotic Americans to celebrate each other regardless of labels, the long ad confronts the stereotype of the everyday American. "Picture the average U.S. citizen. Think about it: how old are they? What's their hair like? How much can they bench?" Cena asks the audience in the longer ad. "Chances are, the person you're picturing right now looks a little different than the real average American." For one thing, Cena points out, the average American is a woman — "Cool, huh? Is that what you pictured?" It's hard not to see the ad as a direct response to Republican Presidential candidate Donald Trump, especially after he tweeted what many are calling an anti-Semitic ad against his Democratic rival Hillary Clinton. While Cena's new patriotism video does not throw any blame or shade Trump's way, Cena does have a history of speaking out against the controversial candidate. During an appearance on Today in December of 2015, Cena gave his two cents on Trump's proposed Muslim ban, saying, "The last time we did anything like this was in World War II, and that was one of the more reprehensible acts by the United States. 'We are the melting pot, except for you.' That does not go along with our DNA." Regardless of the current political climate, Cena's message about patriotism should be heard as we celebrate this Independence Day. No matter how weird it might feel to take patriotic advice from a pro-wrestler.